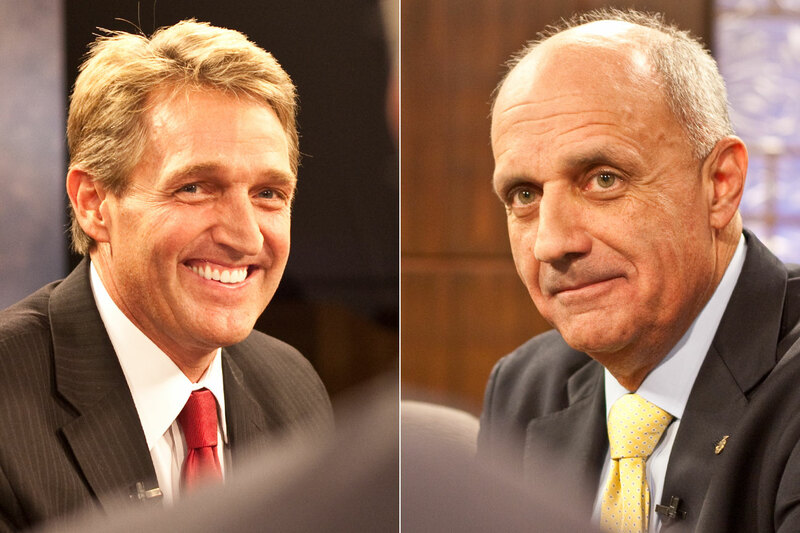 Though he lost the U.S. Senate race to Jeff Flake, Richard Carmona won nearly all of the state’s most competitive voting precincts and performed better than most Democrats could hope to in conservative parts of Arizona. With the former U.S. surgeon general now considering a run for governor, the results of the state’s blockbuster Senate race may give new hope to Democrats looking to retake the Ninth Floor in 2014. According to a joint analysis of the race by the Arizona Capitol Timesand the Arizona Center for Investigative Reporting, Carmona over-performed in several Republican-leaning areas in greater Phoenix, his home base of Tucson and even rural areas such as Prescott. That over-performance helped keep the race close. His 3-point loss was the strongest showing by an Arizona Democrat in a U.S. Senate race since 1988. Carmona defeated Flake, a six-term East Valley congressman, in competitive-but-Republican-leaning precincts across the state. In the Ahwatukee-based Windmere precinct, where Republicans have an 9-point registration edge over Democrats, Carmona beat Flake by more than six percentage points, based on 2-way registration figures and head-to-head performance. In south Scottsdale’s Pueblo precinct, which has a 4.6 percent GOP registration edge, Carmona won more than 54 percent of the vote. He out-performed Democratic congressional candidates in districts the party won. For example, Carmona fared better in the 2nd Congressional District than Congressman Ron Barber, who had a surprisingly close race, and in the 9th Congressional District, which elected Kyrsten Sinema to Congress. Even in the conservative bastion of Prescott, Carmona fared well. In the Prescott South precinct, where the GOP holds a 9-point edge in voter registration, Carmona took 54 percent of the vote to Flake’s 45 percent. And in heavily conservative areas where Flake won overwhelmingly, Carmona still managed to take a greater-than-usual share of the vote. Carmona out-performed the partisan split in areas such as Fountain Hills, Surprise, and even in Flake’s home-base in the conservative East Valley. The analysis is based on precinct-by-precinct, head-to-head comparisons between the Democratic and Republican candidates, excluding third-party or independent candidates. The partisan breakdown of Arizona’s voting precincts similarly excludes third-party and non-party affiliated voters, which proves to be a strong indicator of the overall partisan leaning for any given area. An over- or under-performance represents how the head-to-head matchup compares with the registration proportion for Democrats and Republicans. The results of the Carmona-Flake matchup do not include Libertarian candidate Marc Victor and write-in candidates. Flake still won the race and outperformed Carmona in other areas. In the Ajo area, for example, Carmona won by double digits, but Flake took a far greater share of the vote than the GOP’s voter registration numbers would indicate. And in the 1st Congressional District, which sent Democrat Ann Kirkpatrick back to Congress, Flake received more votes than Carmona. Nonetheless, some, such as former Carmona campaign manager Alexis Tameron, view the results as a good sign if Carmona throws his hat in the gubernatorial ring for 2014. Tameron noted that Carmona’s 1,036,542 votes were more than any Democratic candidate has ever received in Arizona. “We didn’t get to the magic number, but we certainly moved the needle. And I think that’s why … he hasn’t taken the option off the board at looking at running in the future,” Tameron said. Carmona outperformed President Barack Obama, while Flake fell nearly 130,000 votes short of Republican presidential nominee Mitt Romney. Tameron said about 3 percent of voters cast a ballot for president but do not vote in any down-ballot races. Tameron said the Carmona campaign targeted areas that lean conservative, holding about 35 town hall-style voter outreach events in places like Chandler, Scottsdale, Queen Creek and Prescott. The campaign also targeted areas in competitive legislative districts, such as the Ahwatukee-based Legislative District 18. “We knew it was going to be a race on the margins even though it was a presidential year — that if we had the opportunity to close the gap at certain places and be competitive in some population centers, it was about then keeping competitive in places where we knew we were not going to win outright. But it was a game of margins,” she said. And of course, Tameron said, the campaign for the man who hoped to be Arizona’s first Latino senator targeted areas with heavy Hispanic populations, especially areas that had seen a lot of Hispanic growth in recent years. Indeed, Carmona did very well in heavily Democratic areas, outperforming the partisan split with Republicans in solidly blue precincts with large Hispanic voting age populations. Tameron said she expects to find a correlation between Carmona’s over-performance and large Hispanic populations. Pollster Michael O’Neil, president and CEO of the firm O’Neil Associates, said Carmona’s strength in Democratic areas was more significant than the votes he pulled in competitive and Republican precincts. DJ Quinlan, a Democratic campaign operative and the acting executive director of the Arizona Democratic Party, said there was a lot of excitement among Latino voters, which contributed to extra votes for Carmona in conservative areas such as Mesa. But the Carmona campaign worked hard to target independents and “certain types of Republicans,” particularly those with high levels of education and Republican women, a demographic where Quinlan said Carmona over-performed due to GOP policies on issues like abortion and contraception. “I think there was crossover voting. I think you had some registered Republicans that crossed over to support Dr. Carmona for various reasons,” Quinlan said. In addition to voting history, the campaign relied extensively on demographic data from the U.S. Census to determine which voters to focus on. Possibly the biggest factor was that it was a presidential election year. Even in states where neither presidential campaign puts many resources, such as Arizona, voter turnout is higher than midterm years. One group the campaign reached out to heavily was registered Republicans and independents who vote in presidential years, but not in off-years or in Republican primaries. Those voters, Tameron said, found Carmona’s background appealing. She cited that as being a key to the closeness of Carmona’s race. From the moment Carmona launched his campaign in late 2011, politicos from both sides of the aisle marveled at a resume that included special forces service in Vietnam, a long history on the Pima County SWAT team and surgeon general under a Republican president. The upshot, Quinlan said, is that Arizona is becoming a more even playing field for statewide Democratic candidates. Some Republicans, however, say Carmona’s strength won’t carry over to a non-presidential year. GOP consultant Sean Noble, who worked as an adviser to the Flake campaign, said Carmona won’t see the same kind of support if he’s the Democratic nominee for governor in 2014. Noble said Carmona over-performed against voter registration in nearly every area of the state, both in Republican and Democratic areas, and probably got a fair share of crossover support. But he said Carmona benefited from a combination of presidential year turnout, a strong biography and an influx of money from Democrats who saw an opportunity. Carmona followed Obama’s campaign model of maximizing his base while reaching out in traditionally Republican areas for crossover votes, Noble said, but it won’t work the same in 2014. Noble said the presidential election was the difference between Flake winning by 3 percentage points and him winning by nearly double digits. Noble also noted that the Libertarian candidate won about 102,000 votes in the U.S. Senate race, and said the siphoning of conservative votes away from Flake contributed to the relatively low margin of victory. The Libertarian candidate for president attracted far fewer votes, getting only 32,000. Tucson pollster Margaret Kenski, a Republican, echoed Noble’s thoughts on the Libertarian candidate. While Carmona was an ideal Democratic candidate who did very well among independent voters, Kenski said, some conservative Republicans are hostile to Flake due to his positions on illegal immigration and other issues, and cast their ballots for the Libertarian as a protest vote.